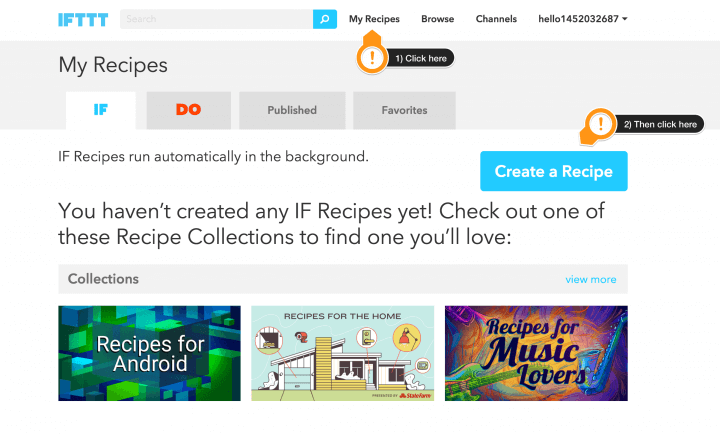 NOTE: IFTTT overhauled their service in 2016. Some of the photographs and instructions below are now out of date. Updating this post is on my to-do list. 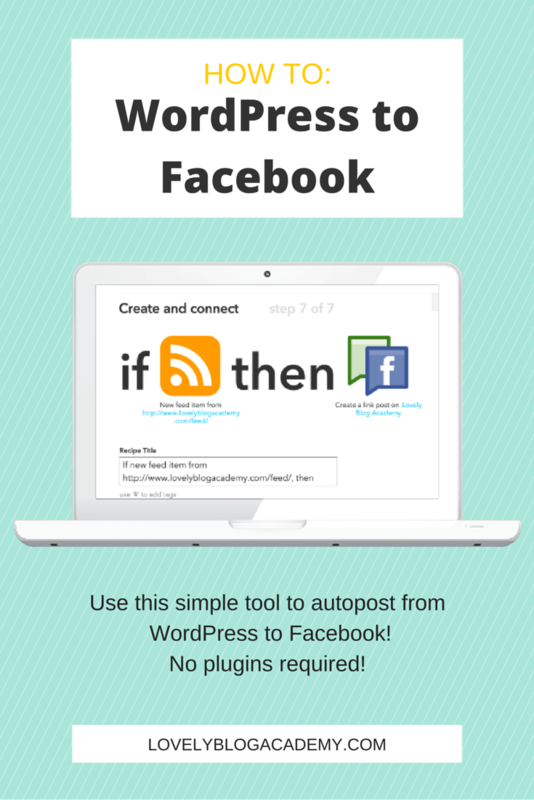 In this post, I’ll teach you how to link WordPress to Facebook using a free service called IFTTT. 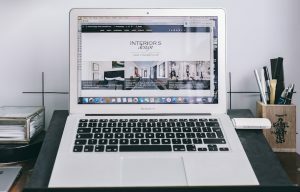 After following this tutorial, your new blog posts will automatically publish to your Facebook page (and/or profile) from your WordPress site. This tutorial should take no longer than 10 minutes to complete. 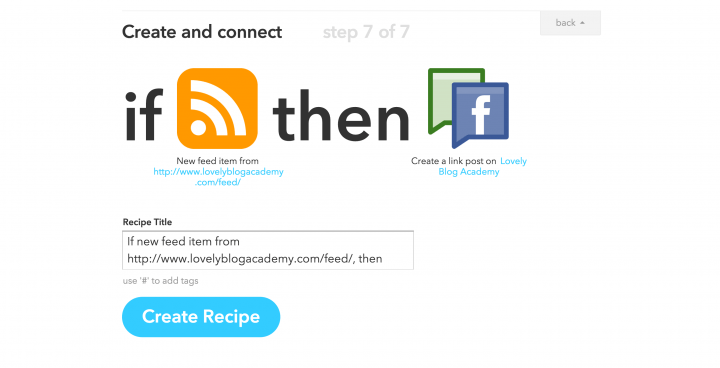 PLUS: Once it’s set up, you can use IFTTT to autopost to other services, including Twitter and Pinterest. I’ve included an applet at the bottom of this post. 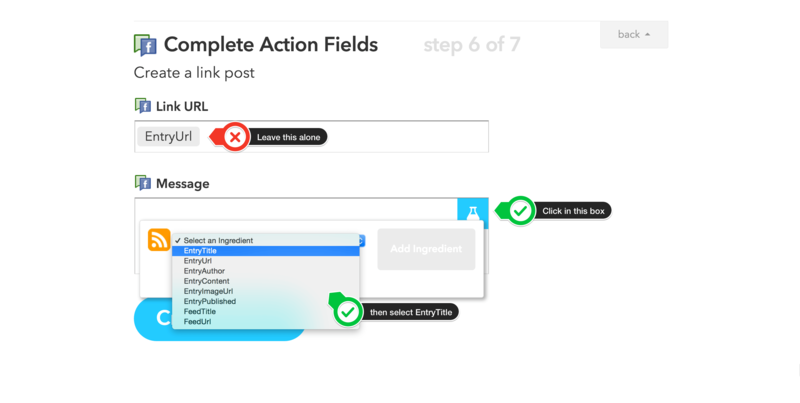 IFTTT will now take you through a mini tutorial, which will take less than a minute to complete. It will teach you how the tool works. Click on the word “ thisto begin. Keep clicking “continue” as you walk through the tutorial. You’ll then see a screen that says “select channels that interest you”. Pick Feed, Facebook and one more channel of your choice… perhaps Twitter? Again, hit continue. On the next screen, select new feed item. Now click the blue create trigger button and a new screen will appear. First part finished, not long to go now! Next, click on the that link and choose your “action channel” (which is Facebook). Search for “Facebook” in the box and select the Facebook Page option. 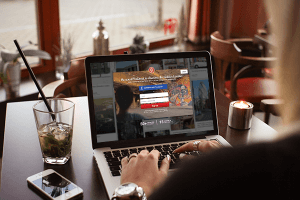 (Select the plain Facebook option if you want to post to your personal profile). 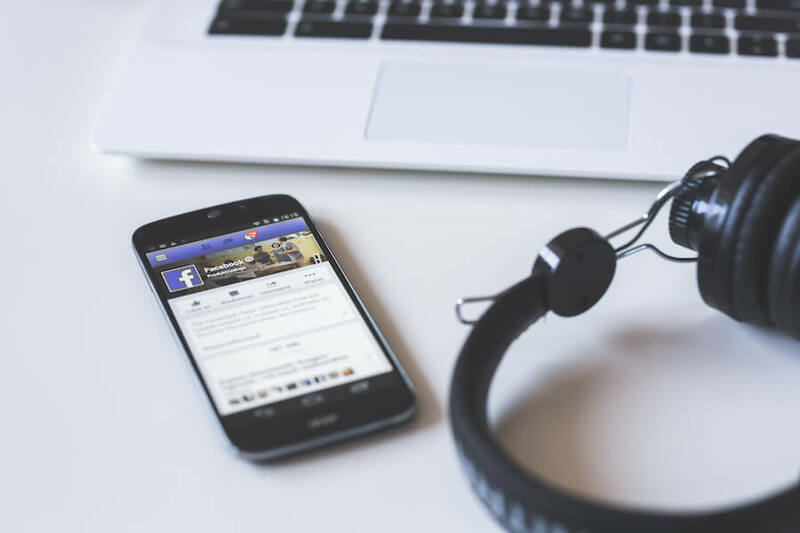 You’ll be prompted to connect the Facebook Pages Channel, which is as simple as clicking the big blue button. It takes a second. You simply click the button and choose the appropriate page from the dropdown box. Hit the done and continue buttons. We’re very nearly finished now… only one or two minutes to go! In the top “Link URL” box, don’t add or remove anything. Leave it alone! Hit that blue create recipe button and you’re finished. Yay! That’s it. 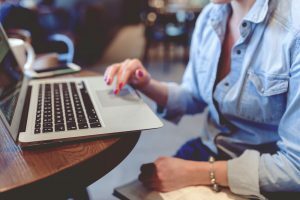 Next time you publish a blog post, it will automatically post to Facebook. NOTE: Remember to swap my RSS feed for yours! Why not walkthrough the tutorial again but use Twitter instead of Facebook? Think about exploring some of the other, pre-made recipes too! 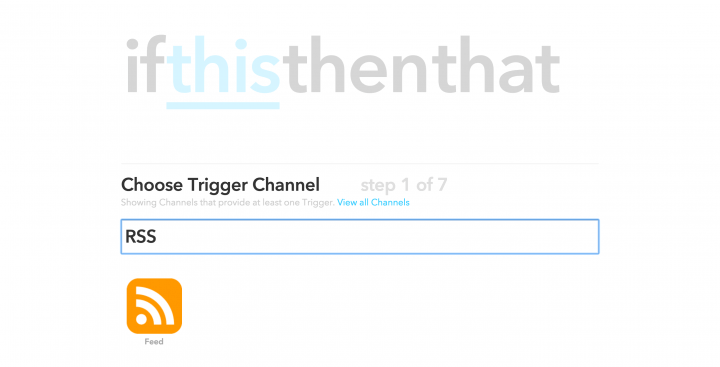 Once you start using IFTTT you’ll become hooked! There are so many time saving and useful recipes!